School Counseling On Air starts Monday, February 4th! 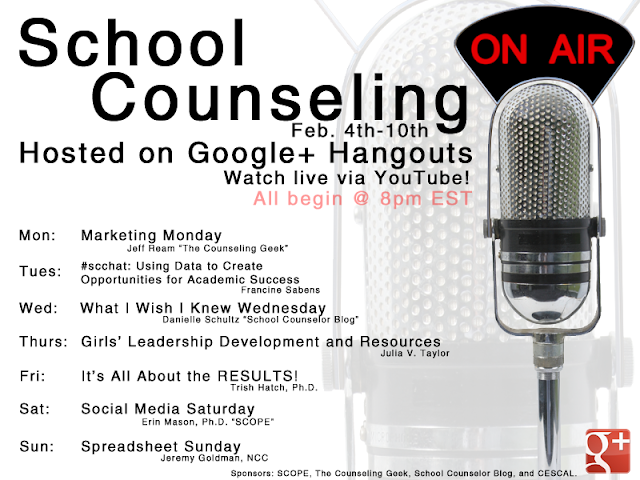 We will be hosting a week of Google+ on Air hangouts during National School Counseling Week! I am so excited to be hosting What I Wish I Knew Wednesday! I will be sharing tips, information, and resources I learned about during my graduate program and beyond! For more information about what School Counseling On Air is and how to participate click here. Will you be participating in School Counseling on Air?